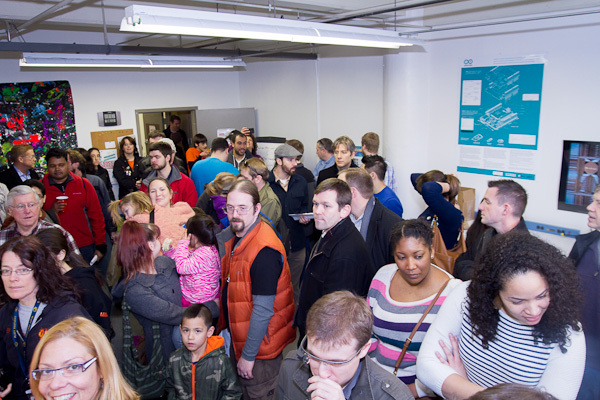 A crowd gathers at the MakeHartford grand opening. 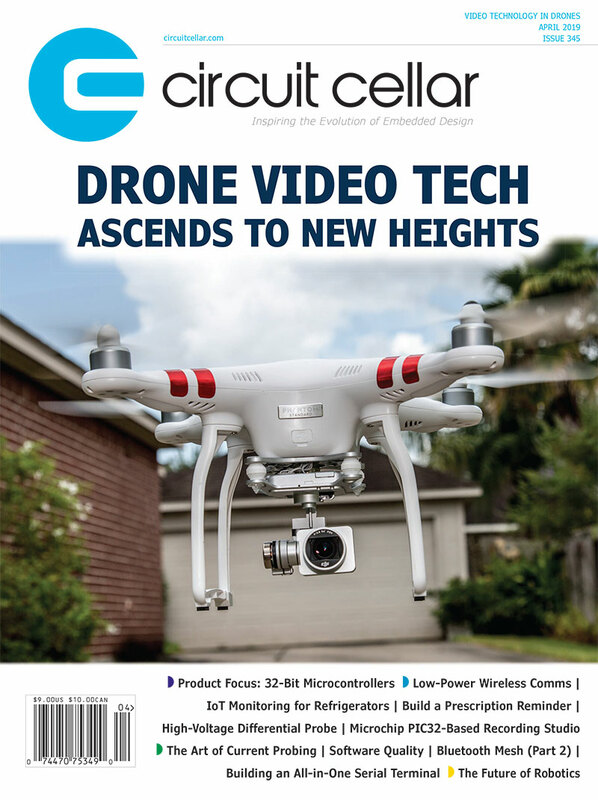 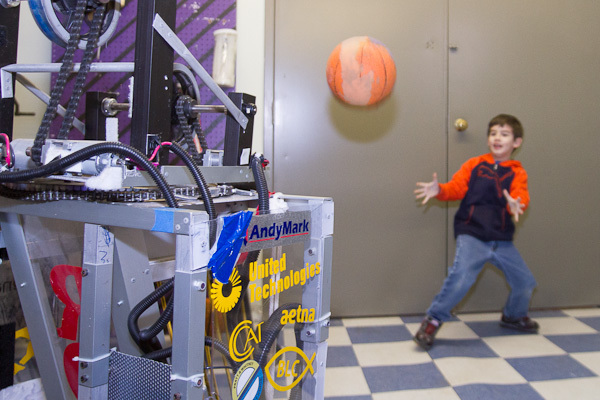 Right in Circuit Cellar‘s backyard, a group of dedicated makers, technologists, artists, and entrepreneurs has spent the past year planning, building, and equipping a brand new space to serve the Connecticut capital’s maker community. 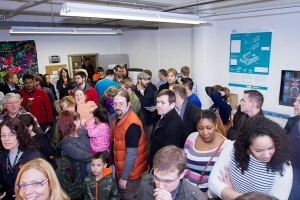 The fruits of their labor, MakeHartford, held its grand opening and ribbon-cutting event January 25th. 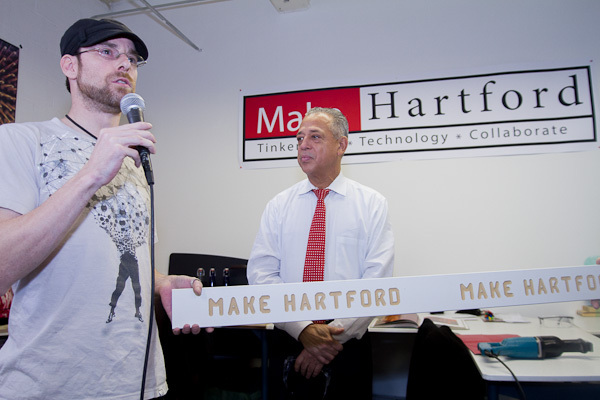 Steven Yanicke, founder and president of MakeHartford, welcomed a crowd of more than 75 people before turning the microphone over to Hartford Mayor Pedro E. Segarra, a strong supporter of the educational and innovation opportunities that MakeHartford represents. 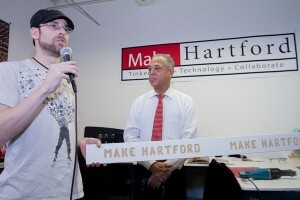 Wielding a ceremonial power saw in true maker fashion, Segarra cut the machine-carved “ribbon,” signifying the official opening of MakeHartford. Throughout the afternoon, MakeHartord members talked with visitors from the community, entrepreneurial development organizations, and schools, showing their projects and discussing their plans for using the space. The event included presentations and demonstrations covering everything from traditional and modern ham radio to Arduino-powered wearable art to tessellation origami. 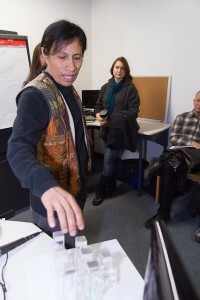 Artist and innovator Balam Soto demonstratates one of his Arduino-powered musical sculptures. 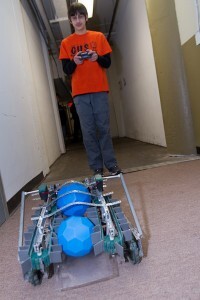 This entry was posted in CC Blog by Circuit Cellar Staff.